At weekend, on the way from Ho Chi Minh City to Vung Tau City are hundreds of motorbikes as well as cars and thousands of people going on their weekend outing trip to stay away from the stressful, polluted and poisonous air of the busy city and find a relaxing moment along the beach. Obviously, Vung Tau is a perfect choice due to its near location. 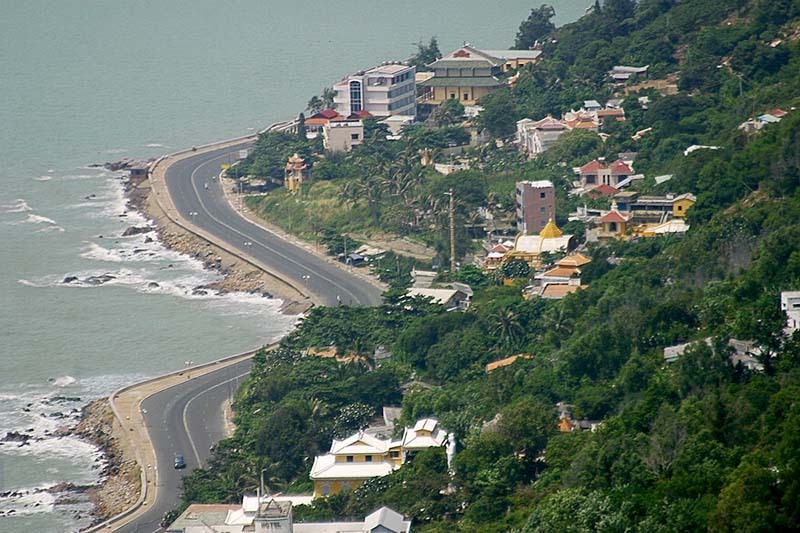 Further more, coming to Vung Tau does not mean only swimming, there are many landscapes and attraction to be explored. Among all of them, Bach Dinh (White Palace) is an outstanding place. 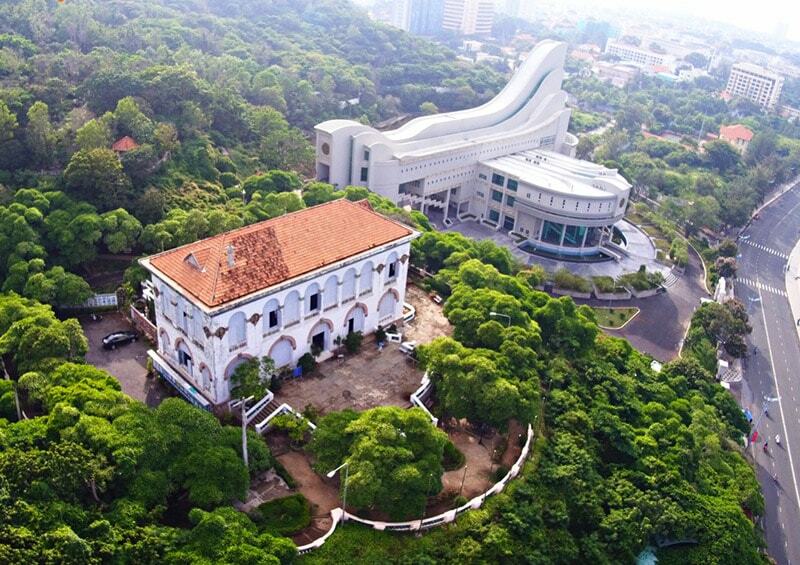 Bach Dinh, or the White Palace of Vung Tau City is located at 4 Tran Phu Street, on the slop of Big Mountain. Standing 50 meter above the sea level, White Palace has its French name which is La Villa Blanche. Tracing back to the year of 1898, it was considered as a summer holiday villa of French Governor General Paul Doumer. This palace was named after his lovely daughter. Unfortunately, while the structure was being built, Doumer had to come back to France and became the President of France later. It was not until 1916 that it was officially used for holiday resting of some Indochina-French Governors. Once visiting the White Palace, you will be attracted by its all white appearance, which is the reason why people here call it “Bach Dinh” (“Bach” means white color in Vietnamese). Since it was designed and constructed by French, this three-floor building was strongly influenced by French and a little bit Greek style with the height of 19 meters and length of 25 meters. The White Palace opens daily from 7:30 to 11:30 and continues to serve from 13:30 to 17:30. The entrance fee is quite cheap which costs only 5000 VND for each person. You can reach there by lots of means of transportation, from bike, motorbike, to bus or private car. Standing in front of the building, you would fall in love with its antique and glamorous structure since the outside walls were decorated with beading and the Hellenic statues. Porcelain enamel colors are the main raw materials, making you feel fresh and peaceful. Coming to the inside, you can notice that everything from the furniture to the decoration were all constructed and designed really carefully and also they are all preserved and cleaned everyday so the building looks like a brand-new villa although it is centuries years old. From its balcony, you have a chance to enjoy a panoramic view of the Front Beach with the crystal clear and cool beaches along the coast as well as the Small Mountain where it has the Statue of Jesus Christ. Moreover, it’s the appealing place for people who love photographing to take lots of art photos with this historic and magnificent building or to walk around the yard along the lines of plumeria and take a deep breath for a significant moment of life. 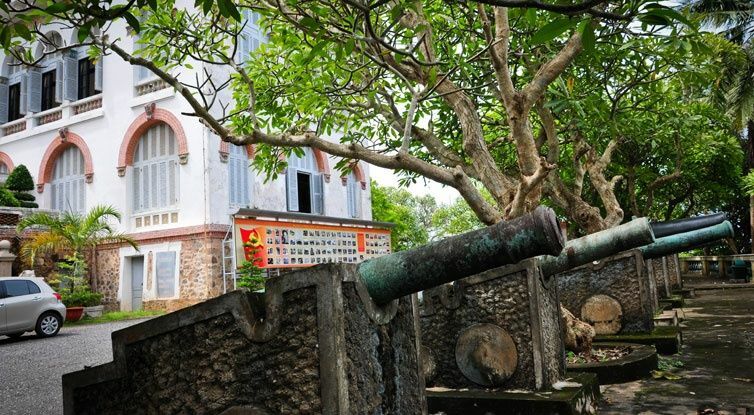 Nowadays, however, The White Palace is no longer used for staying and resting on holidays but for exhibiting various antiques collected from Cau Islet – Con Dao islands. If you have a demand of staying overnight in Vung Tau, you won’t be worried at all since there are a wide range of hotels and resorts along the coast with reasonable price, from luxurious to budget accommodation. In the evening, you can walk or hire a bike and ride around Vung Tau to eat seafood and enjoy the salty taste of this paradise of beautiful and glamorous beaches with friendly and helpful people. Let’s pick up your luggage and have a trip to Vung Tau City in about 2 hours driving from Ho Chi Minh City. You will have an unforgettable time relaxing here to gain the energy for a hard working week coming soon!